I write to you today hoping that your offices will take a bold step exercising soft power and entrench energy literacy into Canadian culture. I implore you and your advisory staff to discuss the benefits and feasibility of a National Energy Museum. National museums show the undeniable politics of everything. National museums are public warehouses for facts that tell the 'official' story of Canada. Our national museums of history, nature, art, science, and most recently human rights articulate facets of Canadian culture that have been chosen to endure indefinitely. National museums are a lens, a platform for conversation, and a reproduction of power relations. Using the warehouse metaphor, the facts we put in the warehouse can change, but the fact that we build a warehouse for the purpose of collecting and displaying certain facts is a pillar of nation building. As the Liberal government reassesses cultural policy and moves to ambitiously stimulate innovative and sustainable growth in Canada, I urge you to consider how curatorial power might be wielded to forge a better world. Energy is the pressing conversation we need to entrench in the Canadian identity. Canadians have a long and complicated relationship with energy, and those stories deserve to be told from a scientific, historically accurate, and decolonizing perspective. Let's build a Canadian Museum of Energy to teach the controversy. These stories can instill energy literacy in future generations of Canadian and world citizens. Canada's new Chief Science Office(r) could play an integral role in assuring that our complicated relationship with energy is told with facts rather than donations. Energy literacy is well funded in Ontario already. The province is investing $1.35 million into energy literacy initiatives over the next three years educating students on ways to conserve energy and help fight climate change through the Ontario EcoSchools program. Saint John stands out to me as the obvious host city for an energy museum, but I'm partial to New Brunswick getting any help it can. The Irving refinery, Point LePreau nuclear generation station, and an untapped potential for tidal power make Saint John a hot spot for energy discussions. There are geographic benefits to Saint John too. 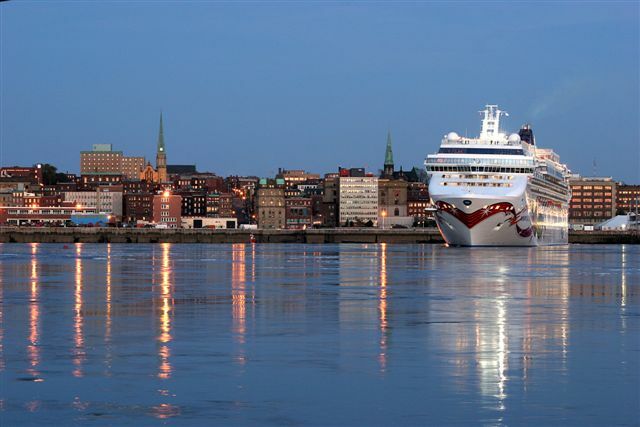 The city is both home to an active port, which regularly has cruise ships in harbour, and on New Brunswick's Highway 1, heavily traveled by American motor tourists. The key to a sustainable future is robust public conversation about energy. Canadian cultural and economic policy should be harmonized to entrench innovation and environmental stewardship in the Canadian identity. A National Energy Museum is an amazing opportunity to engage Canadians with energy facts, legacies, and possibilities.